The pair made the highest close in 5 years in the weekly chart. For the longer-term perspective, in case if the pair monthly closes above 1.1279 we can see 1.1723 and 1.1938 in the longer term within intermediate resistance. In the previous week's session the pair made a high at 1.1386, but was unable to close above 1.1279, closing at 1.1277. If we go through the daily chart, we can observe a tail shadow and near-term cap at 1.1297-1.1300 levels. We recommend fresh buying only above 1.1300 for targets at 1.1385 levels. In case, if the pair closes above 1.1298 on a daily basis immediately we can see 75-85 pips on the higher side. On the weekly basis, the pair has support at 1.1257, 1.1227 and 1.1211 levels. The weekly support is at 1.1184 (20Dsma). Until the price closes above 1.1184, use s dip to buy. 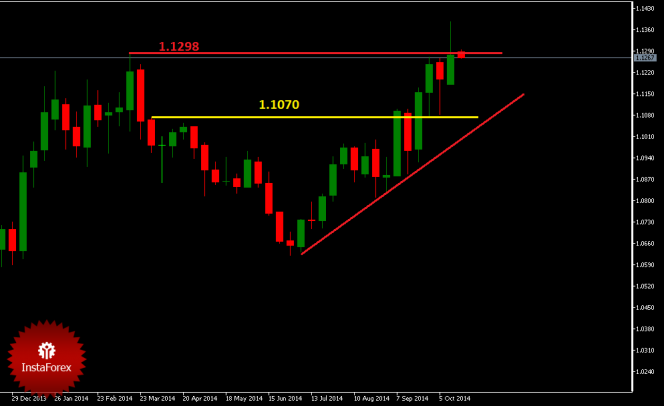 The weekly trading pattern is framed between 1.1184-1.1298 levels. For an intraday view, the prices have been trading below the key hourly moving averages. 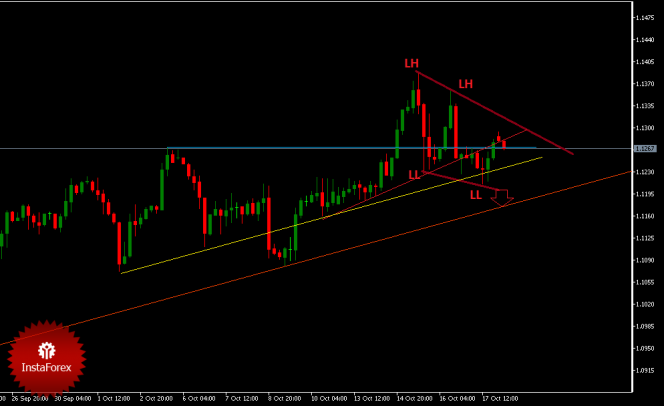 In the h4 chart, we can observe lower lows and lower highs. This strategy will be breached once the pair closes above 1.1298 levels. For an hourly view, the pair has support at 1.1260, below this, 1.1249 will act as hourly trend decider level. We recommend selling below 1.1249 for targets at 1.1235, 1.1222, 1.1211 and 1.1200.